An amendment to the Equality Bill which would allow civil partnerships to be held in church was tabled in the House of Lords today. It was tabled by Labour peer Lord Waheed Alli, who is gay, and would remove the prohibition which prevents them being held in religious buildings. PinkNews.co.uk exclusively revealed the plans in November. The Equality Bill reaches its House of Lords committee stage today and the amendment would give ministers of religion the option of presiding over the ceremonies, although it would not be compulsory. 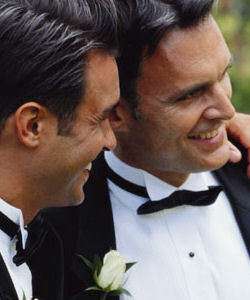 When civil partnerships legislation was passed in 2005, a prohibition was placed on them being held in religious buildings. They must instead be carried out in other buildings licenced to host them. Gay equality charity Stonewall worked with the Lesbian and Gay Christian Movement and the Metropolitan Community Church to get the amendment tabled. Other faiths such as the Quakers have also expressed their support for recognising gay couples in the past. This year, the Quakers voted to hold gay marriages, rather than civil partnerships. Stonewall chief executive Ben Summerskill told PinkNews.co.uk today: “We know that there are many lesbian and gay people of faith who want to celebrate their civil partnerships in religious premises. LGBT Labour co-chair Katie Hanson said: “The Quakers, Liberal Judaism and other religious denominations want to hold civil partnerships in their religious buildings – and Lord Alli’s amendment would allow them to do so.